Driven by smart leadership and the constant evolution of computing hardware and software, Roblox has seen a surge in users over the past year. The company has shrewdly positioned itself as a powerful and flexible sandbox game, one which allows users to not only create their own structures, environments, and games, but also encourages them to come together socially and interact collectively. Roblox even gives kids a way to make real money on their creations! Master Builder Roblox: The Essential Guide provides users an exciting jumpstart into the fascinating, dynamic world of Roblox, and helps guide kids towards a fun and fulfilling experience. Main topics include an introduction to the world, a tour of the coolest and most popular games within the game, a quick-start guide on how to build, and an overview of the Roblox Studio Tabs--the toolbox for developing content in the game. 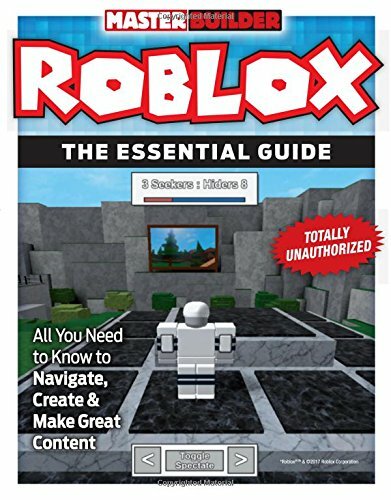 Along with the essential content to help beginners dive into Roblox like pros, dozens of full-color gameplay photos will help readers navigate the grand world of Roblox and get them mastering and creating their own Roblox games in no time! If you have any questions about this product by Triumph Books, contact us by completing and submitting the form below. If you are looking for a specif part number, please include it with your message.